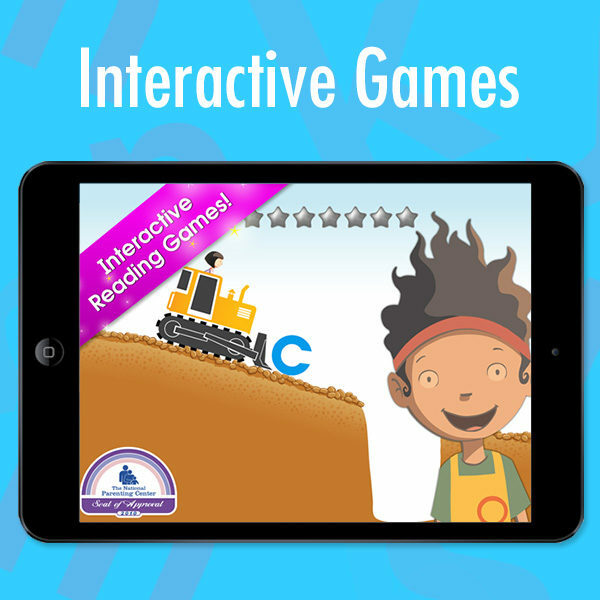 Because kids learn in different ways, the program includes a variety of multi-sensory tools that appeal to visual, auditory, and experience-based learners. 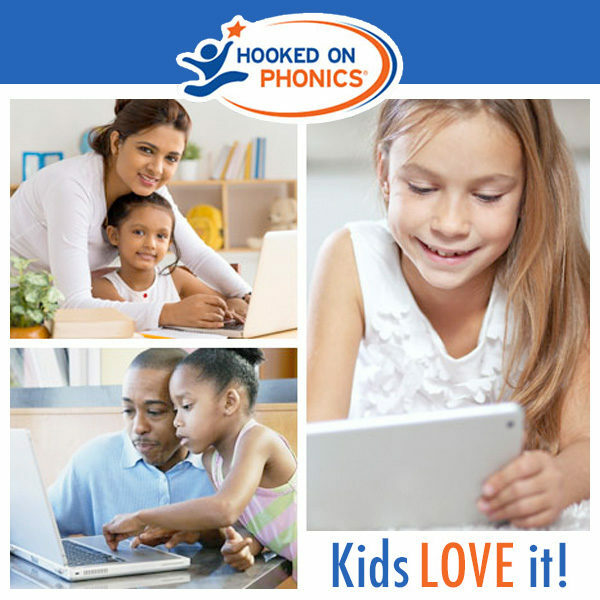 With the Hooked on Phonics® step-by-step approach, kids learn about letters and sounds, learn how to put them together to form words, and then utilize these skills to read great stories and books. 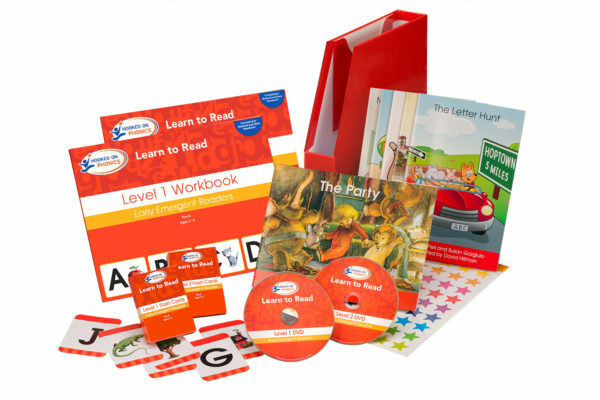 Each lesson takes about 20 minutes, making the complete Learn to Read kit perfect for parents and homeschoolers looking for an effective and fun reading program. Each lesson follows the same approach: Learn, Practice, Read, Celebrate. 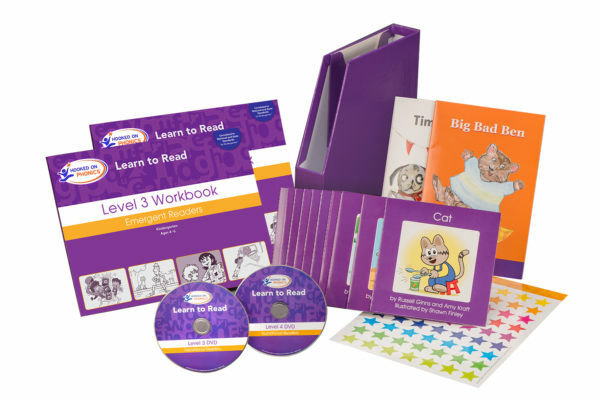 Learn:Your child learns to read new words by watching the lesson on the DVD or online and then reading the new words in the workbook. 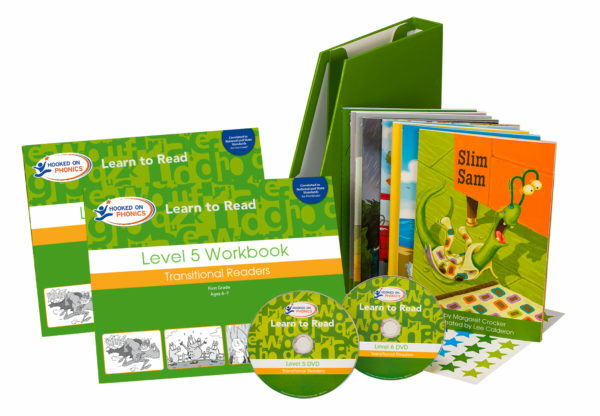 Practice:Your child then practices reading the new sound combinations and words in the workbook. This will reinforce the lesson and provide a tangible application. Read: Now your child puts it all together and is ready to read a great story. 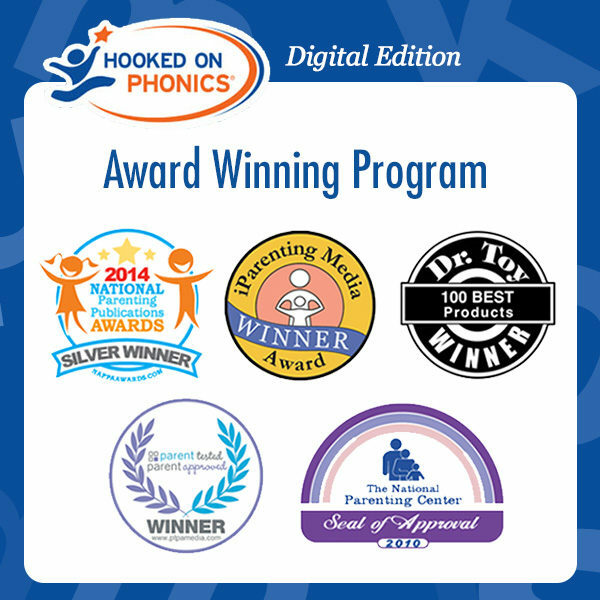 Every storybook is composed of words that your child has learned to read so far in the program. 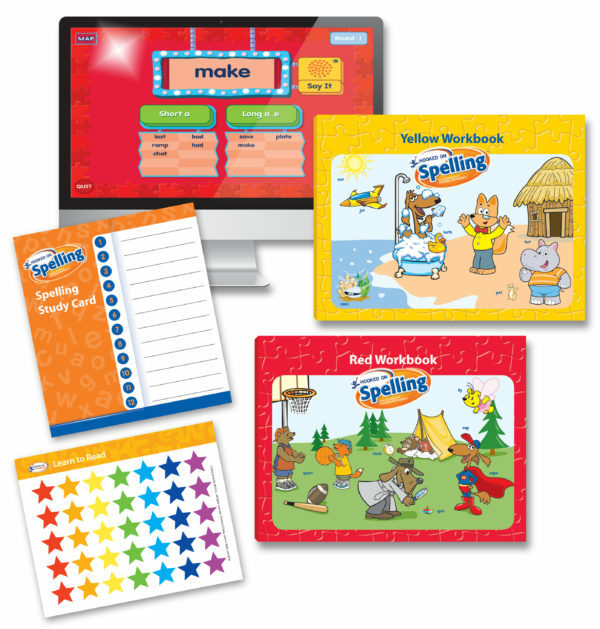 Celebrate:Celebrate success after each lesson by placing a sticker in the workbook. This also provides a helpful marker to remember where to begin next time. 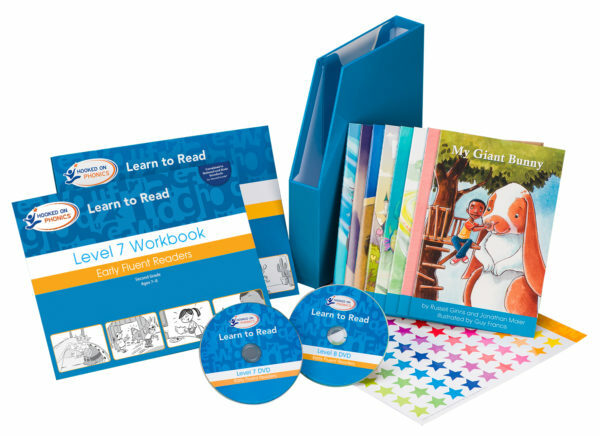 This multi-sensory approach makes the program ideal for learners of all types, as well as parents and homeschoolers who want to help their children become confident, lifelong readers! 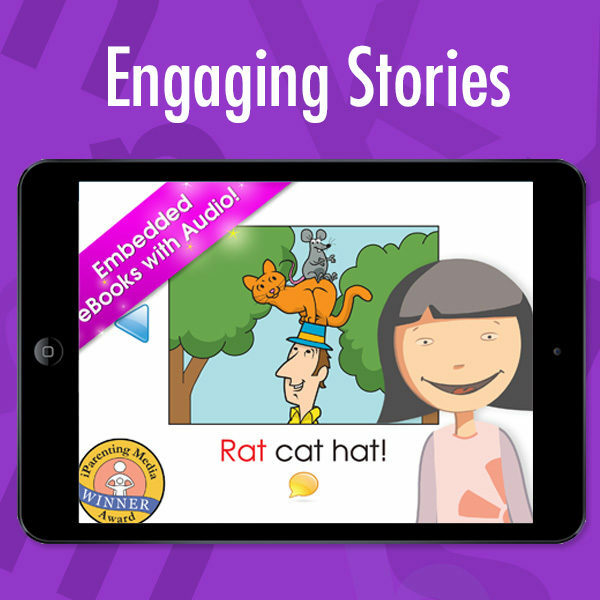 36 Original Storybooks written to reinforce the skills your child learns in the program, including 8 books written by award-winning children’s book authors such as Rosemary Wells and David McPhail. 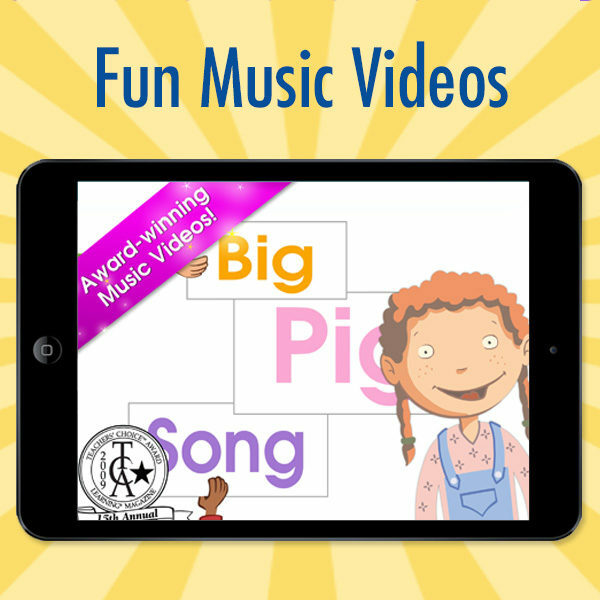 8 DVD’s filled with music videos and fun introductions to each lesson, where letters come to life. Video streaming of All DVD content is available online or on any device. 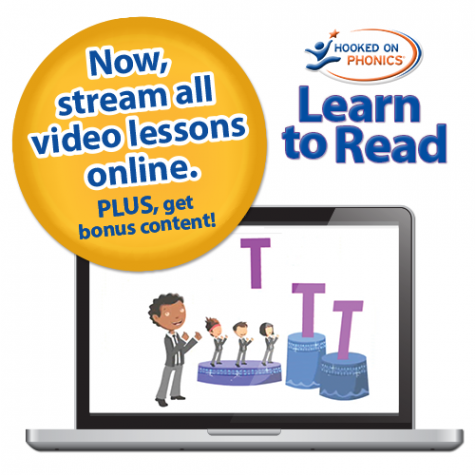 Online access to MyHOP (My.HookedonPhonics.com) for all lessons and bonus content. 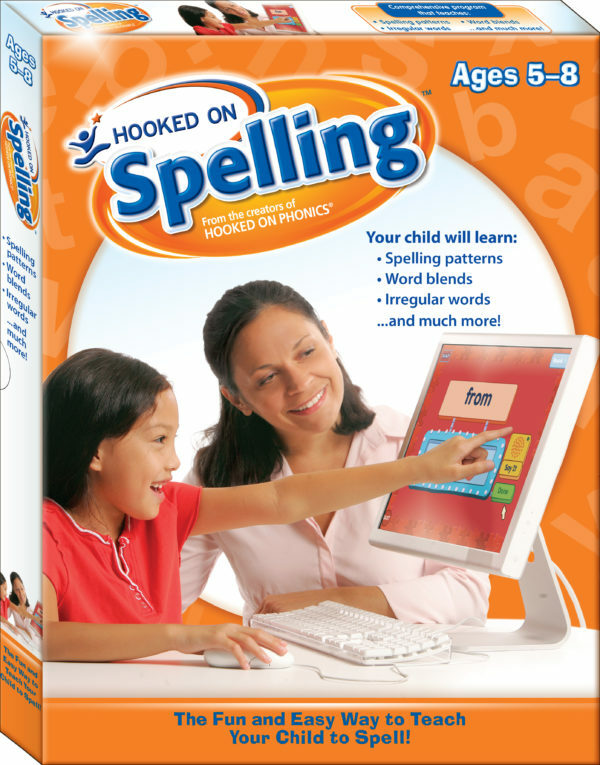 • Fun, interactive spelling games on CD-ROM, so learning spelling isn’t a chore, but something your child will actually enjoy! Hooked on Spelling System Requirements: Windows 2000 or later. Mac OS X v. 10.5 or earlier. I started using the grade K books with my twins (age 4) this summer, and quickly discovered that while it was a great match for my daughter, my son still needed help learning his letter names and sounds. So I then purchased this set, which contains grades preK through 2. 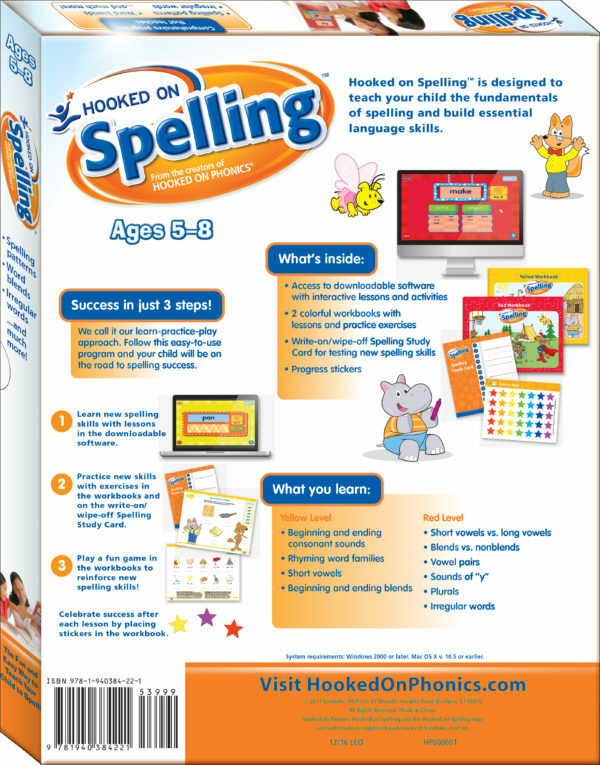 I’ve started using the preK books with my son, it is working well. Both children like the books, and they really like putting their stickers on when they complete a page successfully. I think the material is well paced and clear. I bought this for all my kids to hopefully use, but right now am using it for my 4 yo, turning 5 in a few months. She knows all her letters and their sounds, so we could have skipped the pre-k stuff in my opinion. It never hurts to review I guess. I looked over the level 3 materials (kindergarten) and am very excited to start with her tomorrow! It seems to be a good balance of teaching new things and reviewing old stuff (I think) while keeping it light and fun and exciting. I like that each lesson is not too overwhelming or long. You can easily do one a day! 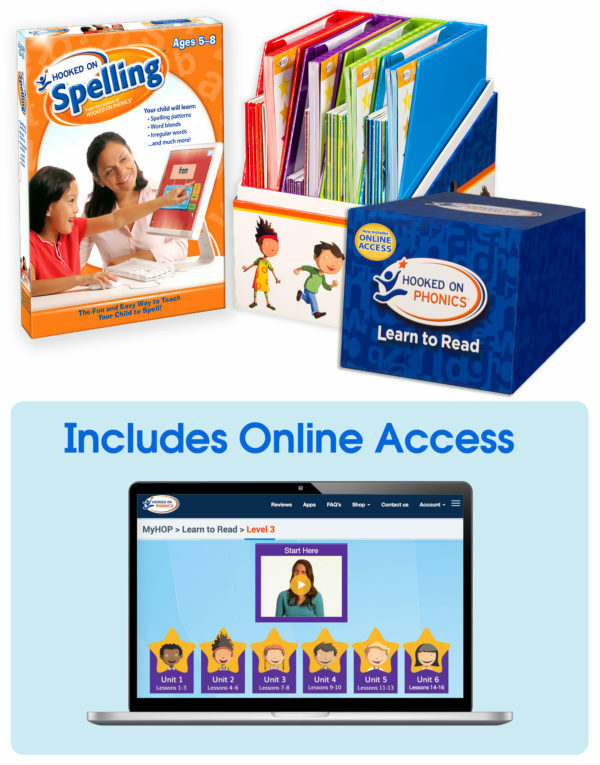 I also love the online extras that go along with each lesson, especially the letter printing/writing instructional video clips and practice sheets. Side note on that though, I was not able to access the online materials with my isbn or whatever other number it has you enter, but I contacted hooked on phonics directly and they sent me a code that allowed me access. I jumped the gun and bought this last year (2016)on a sale for my not even 2yo! He was easily able to identify his alphabet and so we just used the flashcards and workbooks (preK) to point out the letters and sounds. A few months ago my now almost 3yo is flying through the preK workbooks, loving the videos and able to do all the activities. We moved on to the kindergarten level 3 weeks ago (start of July 2017 on his birthday) and he has picked up all the words! The videos are catchy but helpful, the books are 50/50 in my opinion. We loved a few and read the others just a couple times (preK) and so far the phonics books (kindergarten level) are great! We are very happy with the program and look forward to doing the rest of the levels! My son is doing awesome with this program. He needed a boost with reading & I am truly believing this is the one!! Thank you. My three years old looks forward to sitting on my lap watching and discussing the videos. My one year old loves trying to sing along with the songs. 25 Years ago I used hooked on phonics for my sons. I started reading to them in my womb. When they were 2 and 3 years they were able to read stories and pronounce so many words. My son received valedictorian for Kindergarden and first grade . They teachers were just so amazed. The reason for the late store is that my sons now have children of the own. My 23 month old is grand daughter is just like her dad. So he wants her to start now and see where it takes her. My other son said that his daughter is a little lazy. 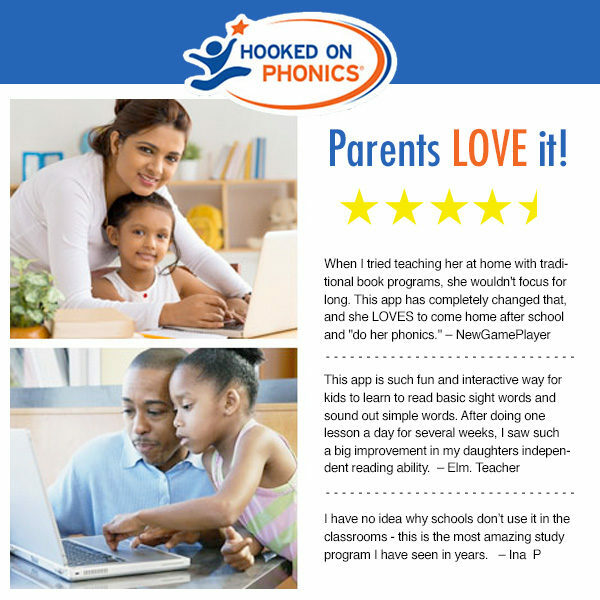 And he declare that hooked on phonic is the key to his problem. I will order this for them for xmas. 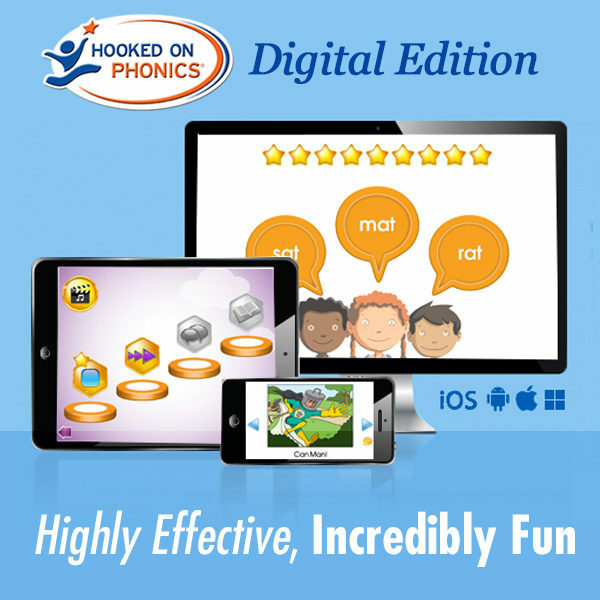 My sons first memory of fun learning was hooked on phonics.